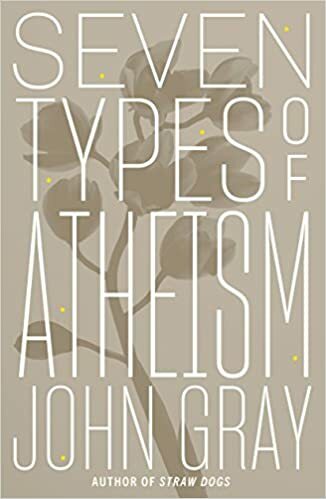 This book should put to rest the canard that atheism is free thinking, and oh so much more broad-minded and gentle than what is on offer from the dull and cramped-spirited God-fearing types. Gray thinks theism ill-conceived, but he does not think it has anything like the distasteful character of most atheism. Actually, it’s amazing the number of regimes that made a big to-do about atheism that have ended in mass murder. It would be an interesting project for someone to study whether acknowledging God in a constitution functions as a sort of insurance policy against really high death tolls. It’s an arguable point. There’s a gene for that… or is there? It’s funny how quickly those types of atheists will immediately say that it was communism that caused the tragedies in Russia under Joseph Stalin’s rule and the same with Mao and Pol Pot. There really is a big difference to I guess it would be no different then the other extreme with the crazy religious fundamentalists that everybody seems to think that all religious people happen to be. They’re just one side of the same coin. People have committed atrocities in the name of both atheist ideologies and religious beliefs. The problem seems to be not so much in the nature of the belief systems as in the propensity of some people to feel justified in committing the most appalling acts in furtherance of their chosen “truth”. You can cite the atheist communist regimes of the 20th century and you can cite the anti-Semitism endemic throughout Europe for centuries and epitomized in Martin Luther’s On The Jews And Their Lies. Neither atheism nor religion are guarantors of reason, or benevolence or tolerance. All they seem to do is amplify both the best and the worst of human impulses. Neither atheism nor religion are guarantors of reason, or benevolence or tolerance. True, but only religion offers a path to reason, benevolence and tolerance. Voltaire did not consider himself merely an insect, any more than Gray considers slime mould his peer, or Hawking regards Hawking as a quantum of chemical scum. Thus Gray may have special scorn for the militant atheism of Richard Dawkins, (and other ‘new’ atheists), but the fundamental claim of Gray’s philosophy that “Heaven and Earth are ruthless” is basically exactly the same as the fundamental claim of Dawkins’ philosophy which holds that “The universe,, (is),,nothing but blind, pitiless indifference”. Dawkins, Richard. 1995. River Out of Eden. New York: Basic Books, 133.
,,, is much like the pot calling the kettle black, and is naively misguided at best. Atheism, in whatever guise it may raise its ugly head, simply provides no basis for human dignity of any sort in that Atheism denies that humans have any intrinsic meaning, value and purpose to their lives whatsoever. As such Atheism can never support any sort of objective morality that does not eventually completely collapse into Dawkin’s ‘red in tooth and claw’ survival of the fittest’ morality, i.e. ‘do unto your brother before he does unto you’ morality. Moreover, as far as science is concerned, there are two main methods by which atheists have attacked human exceptionalism. Yet both of those supposedly scientific methods by which Atheists seek to denigrate human exceptionalism are now found to be false by none other than science itself. Thus, though Gray may try to denigrate new atheists for their “enlightenment evangelism’, the fact of the matter is Gray’s ‘replacement’ atheism of “Schopenhauer atheism” is just putting lipstick on a pig since it, like all other forms of atheism, will eventually wallow in the mire of the nihilistic insanity inherent if Gray’s claim that “human life has no more meaning than that of slime mould”. This is true no matter how much of the perfume of flowery nice words Gray may try to cover the stench that is inherent at the foundation of his completely meaningless atheistic worldview.